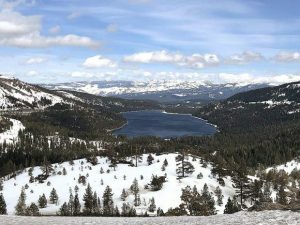 Placer County and the U.S. Forest Service have released its final Environmental Impact Report for Squaw Valley Alpine Meadows base-to-base gondola that would connect the two resorts. During a public hearing last spring Alpine Meadows residents expressed concern with the installation of eight gazex avalanche exploders around the gondola. 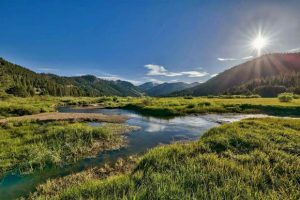 In the final report, Squaw Valley Alpine Meadow decided to pull the gazex exploders from the project. According to Liesl Hepburn, public relations director for Squaw Valley Alpine Meadows, the gazex were removed due to concerns expressed by the community regarding the existing gazex around Alpine Meadows Road. “We are actively working with the Alpine Meadows community and Placer County to perform testing on the gazex and have an open discourse with homeowners to move toward resolving those concerns,” said Hepburn in an email. She said the gazex were not necessary to the gondola project, but would be helpful for the purpose of avalanche control. “The priority is to have better community understanding around the current use of the gazex on Alpine Meadows Road,” she said. The gondola would begin at Squaw Valley, traverse over privately owned property and end at the Alpine Meadows base area. The project includes two base terminals and two-mid stations. The report outlines four possible options for construction of the project, in which the gondola length would range from 11,700 feet to 13,000 feet and require 33 to 35 lift towers. The first alternative in the report is a “no action” alternative which stands as the least environmentally harmful course to be taken. The second, the original plan proposed by Squaw Valley Ski Holdings, would run 9,700 feet across private land and 3,300 feet over National Forest Service land totaling 13,000 feet of cable with 35 chair towers. This was identified by the report as the most environmentally destructive. The third alternative would measure 12,600 feet, with 10,200 over private land, 2,400 feet over Forest Service land and 34 towers. The final alternative measures 11,700 feet with 2,300 feet over Forest Service land, 9,400 feet over private land and 33 towers. The report concluded a fourth alternative would have “less of an environmental effect” than other other alternatives as it occupies the least amount of land. This alternative would remove an estimated 38 trees, while alternative three would remove 104 trees. According to the Tahoe National Forest, construction of the project would take around six to eight months which would involve the use of a helicopter to place the towers with 30 to 40 workers during peak construction periods. The project must be approved by the Placer County Board of Supervisors, as well as the Tahoe National Forest in order to move forward. Along with the environmental impact report, the forest service has issued a Draft Record of Decision which details its decision to approve the project, if it is constructed under the requirements of the fourth alternative. 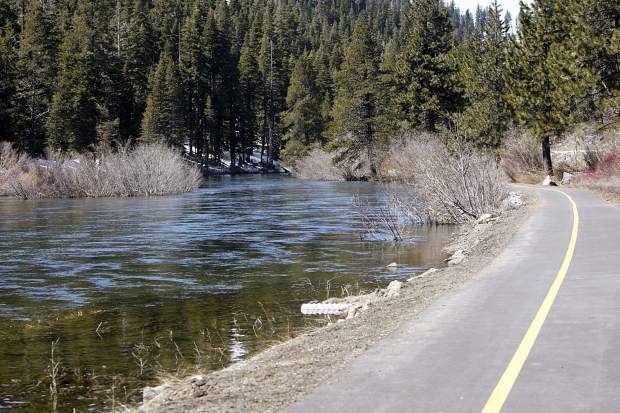 The report will be heard at a Squaw Valley Municipal Advisory Council meeting on May 2 and a North Tahoe Regional Municipal Advisory Council meeting May 9. The report is expected to go in front of the Placer County Planning Commission on May 30.